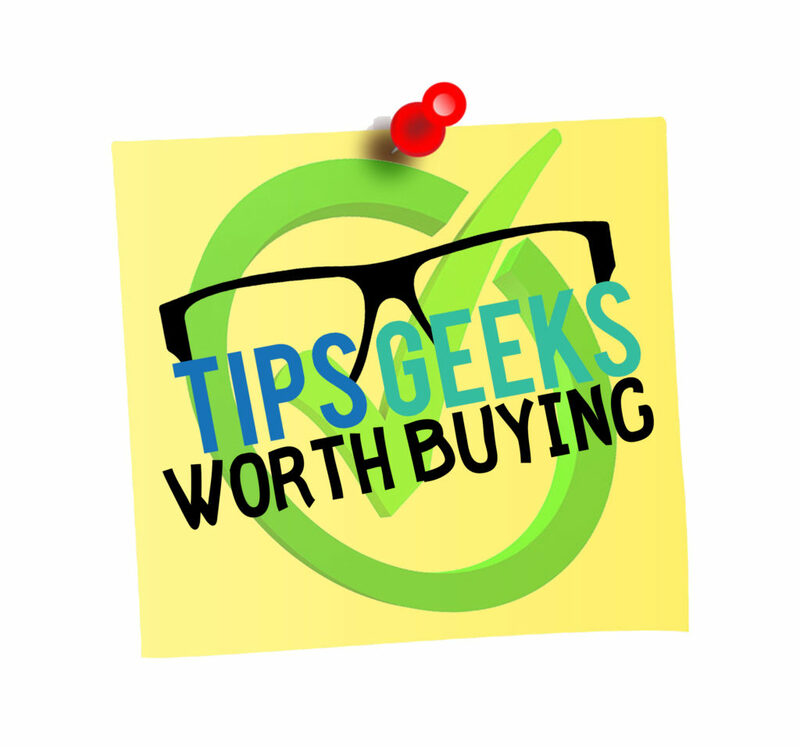 Coming from a gamer’s perspective about the best when it comes to gaming peripherals, you’re bound to hear the name Corsair among their top 5 brands. At CES 2014, Corsair announced the first Cherry MX RGB keyboard. 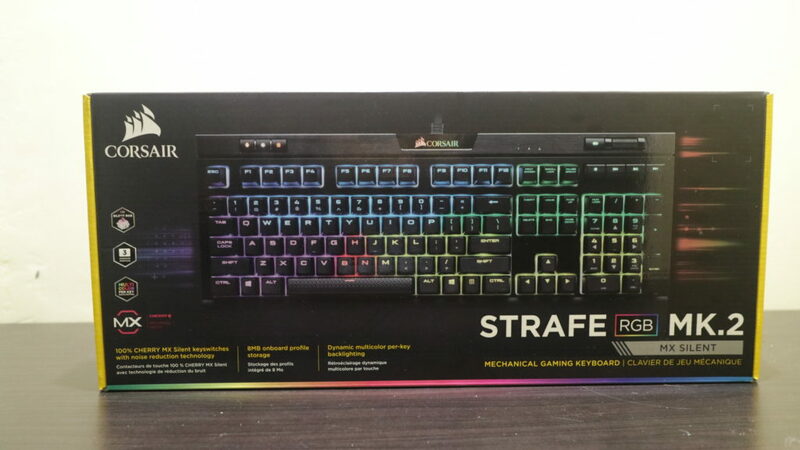 One of the latest ones they have come up with is the STRAFE RGB and has adopted the MK.2, thus making it the STRAFE RGB MK.2. 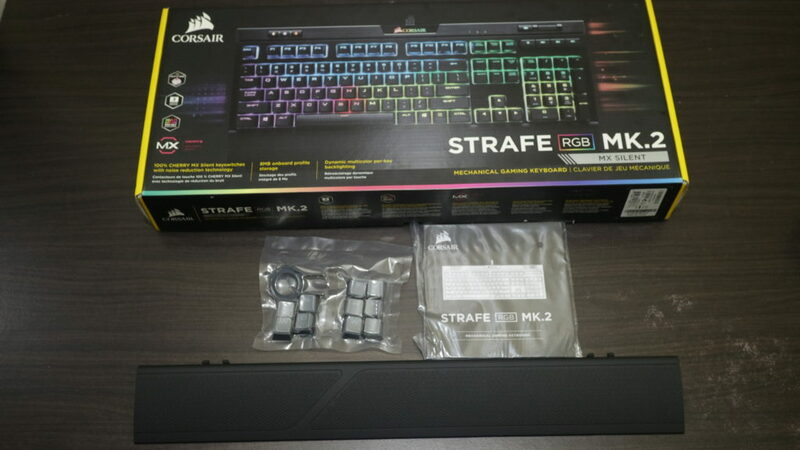 The Corsair STRAFE RGB MK.2 is basically an updated version of their mechanical keyboard with the same name released a few years back. 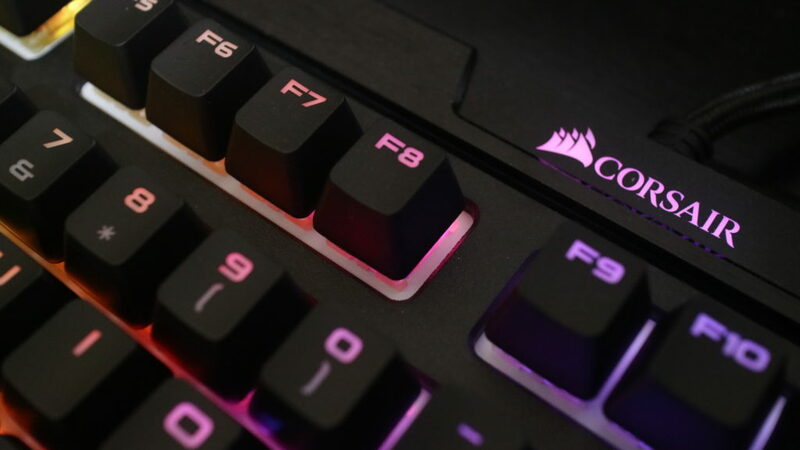 Compared to the also recently updated K-70 RGB MK.2, Corsair included a few high-end features to this previously mid-range keyboard pushing it a bit with features and price. So, going into the product to check the improvements integrated into the MK.2. 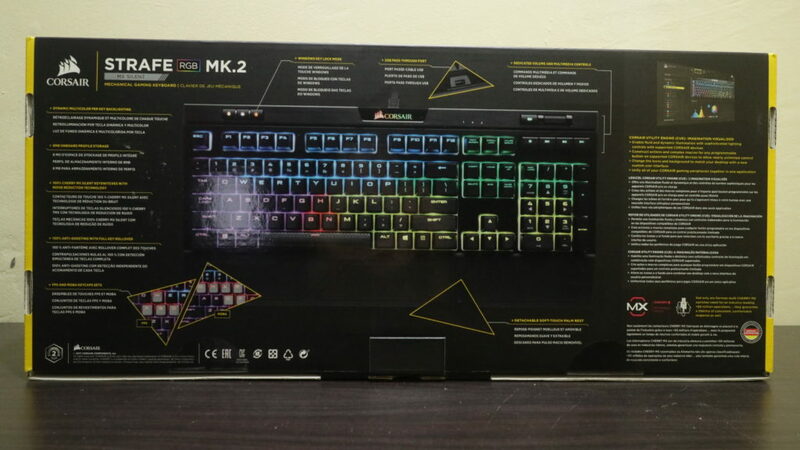 An initial look at the packaging, you’d know that it’s from Corsair due to the color scheme which features clear graphics of the product, yellow accents, and a black background. At the back, you’ll see in-depth details and features of the STRAFE RGB MK.2 specifications. 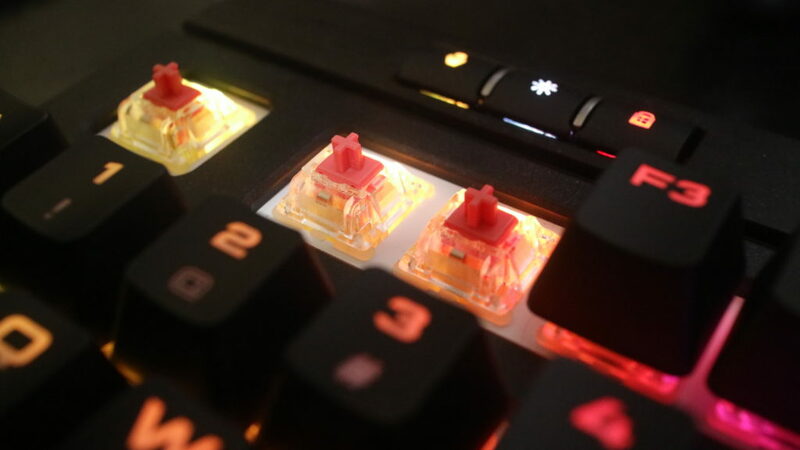 The STRAFE comes with two other extra sets of keycaps designed for first-person shooter games and the other for MOBA games. 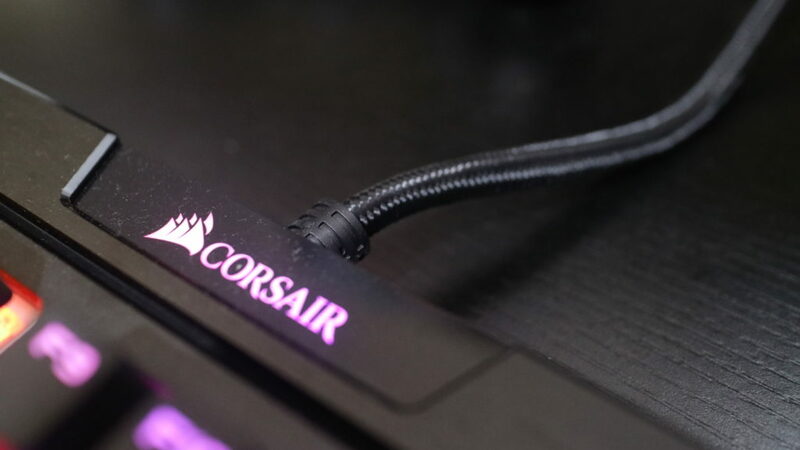 Corsair also added a keycap removal tool for convenience. Beneath the keyboard, other items that you’ll find include the user manual, software, and a soft touch wrist rest. 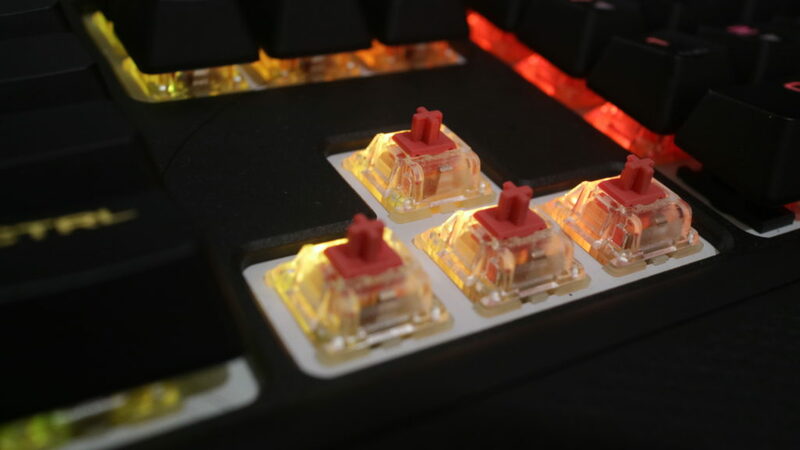 The Corsair STRAFE RGB MK.2 we got is equipped with Siled Red Switches but the linear Cherry MX Red comes at a price of P 7,995 at Game One, at the time of posting, and P7,450 at PCHub. While the Cherry MX Silents are priced at an extra P330 at PCHub. The Cherry MX Silent Reds are linear like the standard reds but have built-in dampeners into the sliding stems. The dampeners shorten the travel distance of the switches giving it an actuation distance of 1.9mm and a total travel distance of 3.7 mm, while the Reds have an actuation distance of 2 mm and a total travel distance of 4 mm. While some would definitely kill me for my next statement, but others actually prefer the quietness of the rubber domes vs the MX Reds. They are definitely the way to go to lessen annoying the next person to you in an office setting. The STRAFE RGB MK.2 is definitely a good option for people who don’t want to pay the premium of the brush aluminum top-plate on the K-70 RBG MK.2. 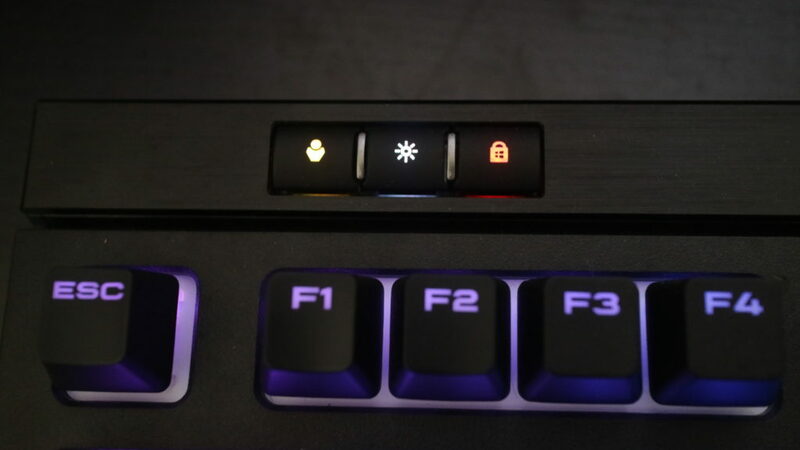 Although, if you opt to purchase the STRAFE RGB MK.2, you still get a bit of that at the top part of the keyboard. The rest of the body is made of light-textured, matte black plastic which is pretty solid and rigid, so you don’t need to worry about it breaking. 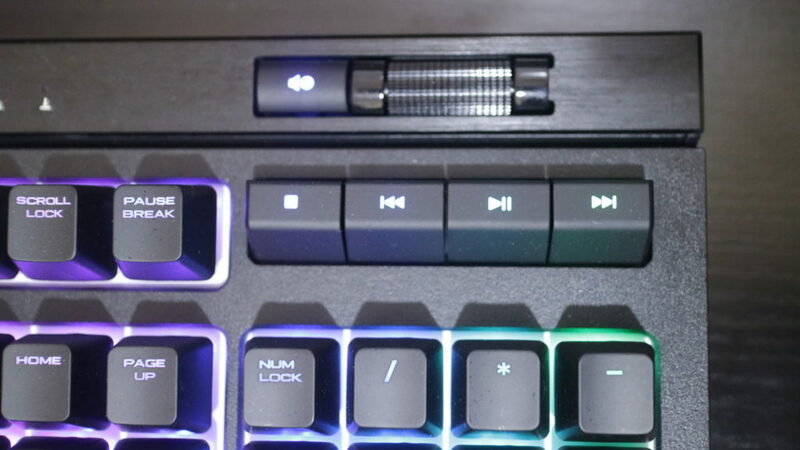 Media controls are well-placed at the top-right corner of the Corsair STRAFE RGB MK.2, offering a dedicated mute button and what seems to be the trend now, a volume wheel. While at the top-left are the profile cycle button, Windows Key lock, and LED brightness control. On the back is a passthrough USB-A port, along with a seemingly durable braided cable. Lastly, the beneath each part for the key islands, you’d notice the white board where the keys are embedded. The white probably helps with reflecting the RGB lighting, but it’s also a little off for those who wanted a consistently black keyboard. 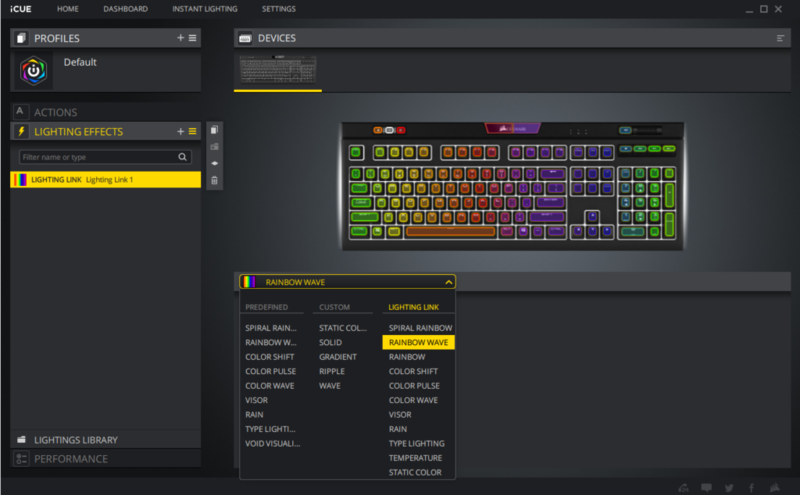 Corsair recently introduced a new version of its CUE software called iCUE. iCUE is still a better software compared to many others out there, but other companies are finally beginning to clean up their designs. Corsair needs to work on making iCUE more user-friendly if it wants to stay ahead of the curve. Despite its complexity, iCUE has powerful lighting and macro-programming controls and the Strafe MK.2 can store the customizations on board in 3 different macro profiles. The board has a dedicated button to cycle through those profiles. That’s one of the convenience that could make the Strafe worth it. 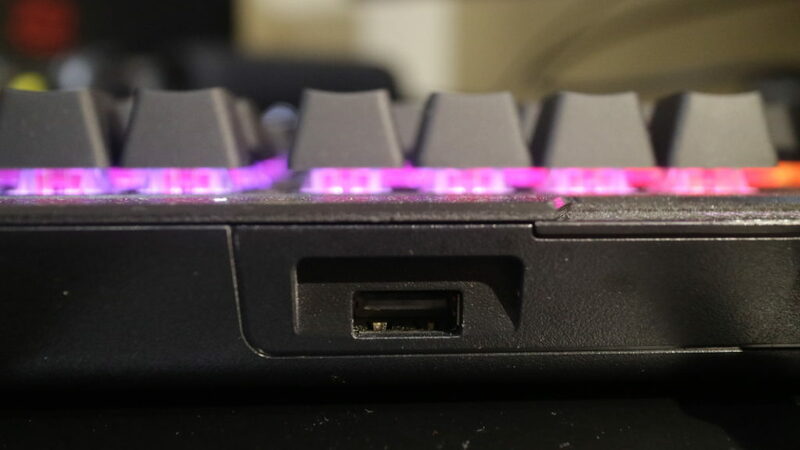 The RGB Lighting is great on the Corsair, however, as someone who is partial to the single colored themes, the whiteboard underneath the keys really put me off. Not only does it lighten the chosen LED color, but the bottom row of keys don’t offer enough color to cover the whiteboard completely. Although, some would see this as a plus on their books. The Corsair STRAFE RGB MK.2 is a solid buy for anyone who wants performance, silence and a little flair to go with their gaming. If you were a big fan of Corsair, this would definitely be a go-to product for the iCUE compatibility. As an added bonus, it would be a good keyboard to be used in a professional environment because of its muffled clicks. All-in-all we believe that the Corsair STRAFE RGB MK.2 is a priced just right and would be a good kicker for gamers out there.